In the Sacrament of Confirmation, we are sealed with the Holy Spirit. This fills us with the seven gifts of the Holy Spirit: wisdom, understanding, counsel, fortitude, knowledge, piety, and fear of the Lord. 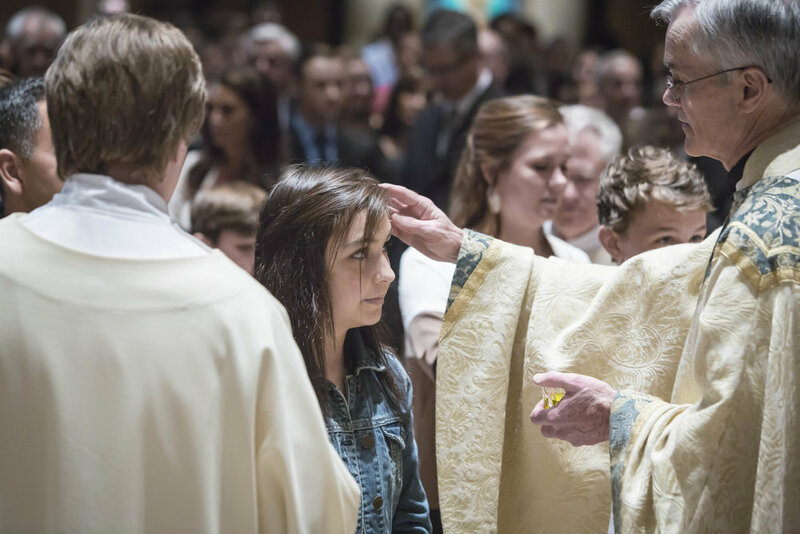 Through Confirmation, God gives us the gifts necessary to be ambassadors of Christ. Two years of preparation are required for all youth to receive the Sacrament of Confirmation. The usual course is for youth to begin preparation at the beginning of 7th grade, and be confirmed at the end of 8th grade. However, we also offer confirmation preparation for high schoolers. Confirmation preparation classes are available on both Wednesday evenings and Sunday afternoons for middle school. Classes for high school students still needing to be confirmed are on Sunday evening. Students who are in their first and second year of Confirmation prep also need to complete 15 service hours per year. Registration for youth confirmation begins in mid April and until the end of June. In order to receive a reminder when registration is opening, please complete the following form. 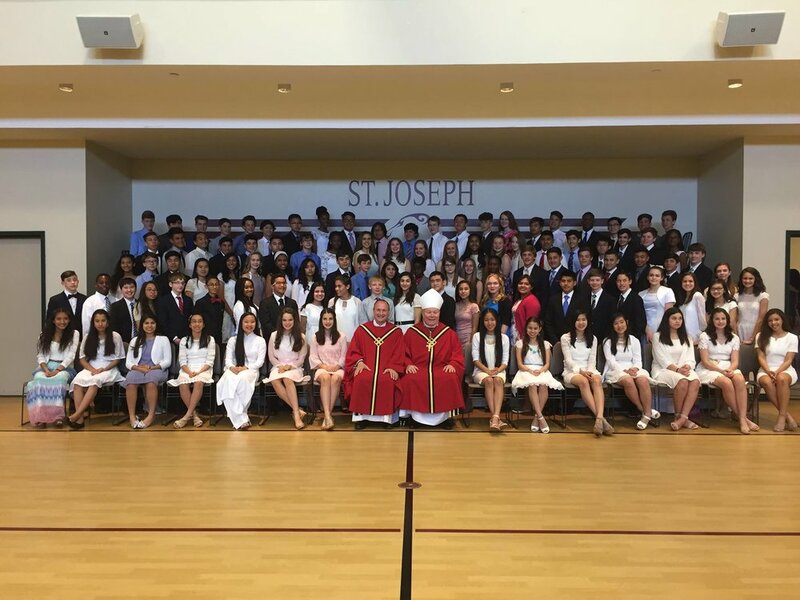 St Joseph offers Confirmation for adults who are already Catholic twice a year, on Pentecost (in May or June) and on Christ the King Sunday (late November). Preparation includes 5 weeks of once a week classes prior to the Confirmation, plus a community service day. Participants must obtain a baptismal certificate and are asked to go to the Sacrament of Reconciliation during the preparation time. If married, what Catholic church were you married in? Thank you! Our Adult Faith Formation Director, Ken Steponaitis, will be in touch with you.